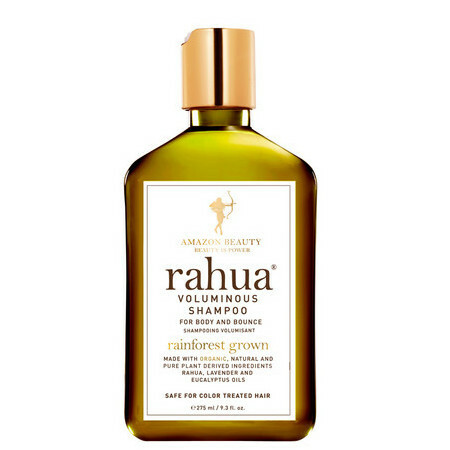 The Rahua Voluminous Shampoo is a rich, light foaming formula that effectively cleanses, clarifies and refreshes the hair while adding volume and stimulating hair growth. It uses plant-derived ingredients including Rahua Oil sustainably sourced from the Amazon Rainforest to help fortify and nourish the strands, while Lemongrass and Green Tea create extra volume and bounce, and Eucalyptus Oil deeply clarifies. Completely sulphate and silicone free, this volumising shampoo has been formulated to help extend time between hair washes. Ideal for all hair types including colour treated hair and particularly beneficial for those with fine, thin, limp or oily hair, as the natural ingredients work to create body by removing excess oils from the scalp and add soft, lightweight bounce. 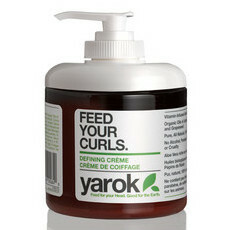 Best used regularly for increased body and volume without dryness. Made in New York. 70% Organic. Vegan, Gluten Free and Cruelty free. Aloe Vera, Green Tea, Jojoba Oil, Lavender. 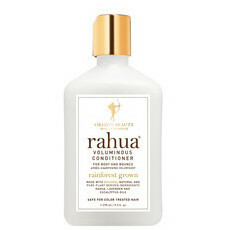 Apply to wet hair and work into a lather, then rinse and follow with Rahua Voluminous Conditioner. Can't believe I wasted $50 on such a small bottle... have since found ethique and not switching. It is very overpriced but i got it out of the drawer today to use (havent used it in ages) my hair looks good. 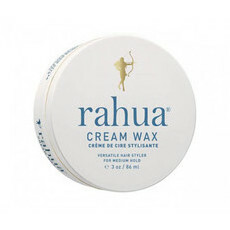 Happy to alternate it with my ethique until u use it up so it doesnt go to waste. Won't rebuy as it's not worth the price. I bought this for the packaging and marketing to be honest but wasn't happy with it. Would be better to purchase another natural brand that is more affordable and comes in a bigger size!